The next generations will face fuel costs so high, they’ll make the standard twentieth-century under-insulated stick-built home a dinosaur. There’s some dazzling technology out there for building new homes better and more energy efficient, but what about the majority of us who are stuck with older ones? 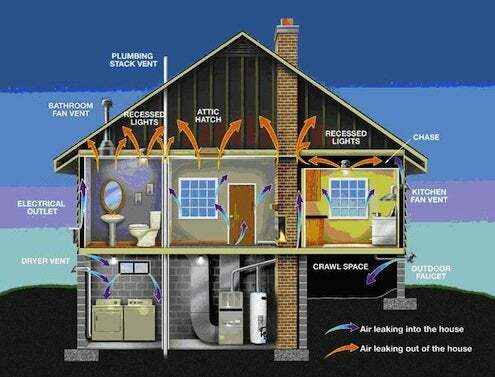 Deep energy retrofits are more than just adding weather stripping and replacing light bulbs. They’re full-on systems thinking in practice, renovation programs that make older housing stock, in all its many shapes and sizes, livable for generations to come. Deep energy retrofit teams look at a range of cool tools and products for insulating, sealing, heating and cooling that are as varied and quirky as the homes we live in. And in some areas, the government will even help you out! Check the department of energy’s website to see if there’s a deep energy retrofit program in your area, and make your old house a home for the future!